In my opinion, it really takes a special kind of something to design cars. A special kind of something that I definitely do not possess. 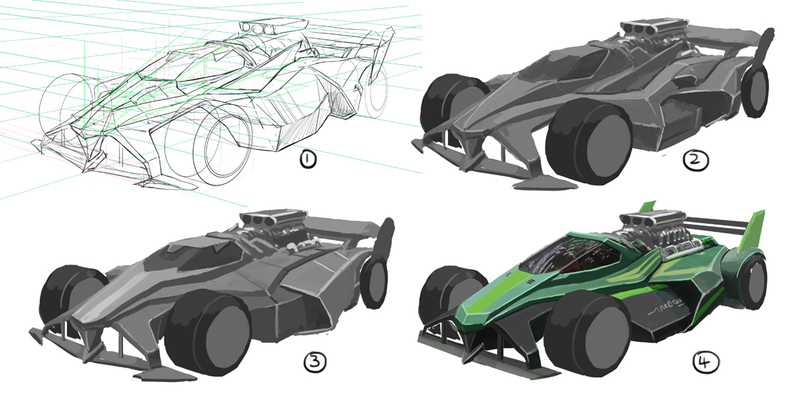 This one was a bit of a struggle, trying to make a second car while keeping the design language consistent with the previous, utilizing my really limited car vocabulary. I thought I'd share some of my haphazard process this time. As you can see, it didn't quite go as initially planned in the sketch.